"This is Music with balls, artistry and attitude"
"A powerful statement about the strength and durability of the art form called jazz"
"With their concert program, the musicians showed their great class"
The four outstanding musicians in this show give you an insight into the world of gipsy jazz and swing. 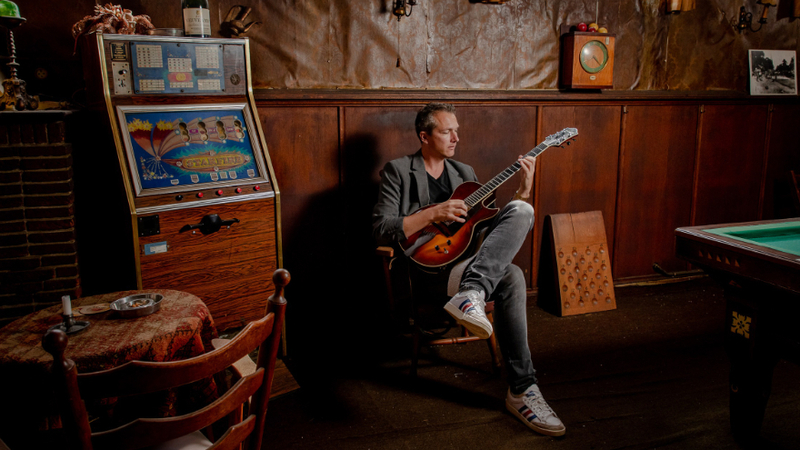 The guitar takes centre stage in a programme of music ranging from Django Reinhardt to Miles Davis and is presented with background information. The four musicians come from very different musical backgrounds and have performed worldwide at festivals such as the North Sea Jazz Festival. This programme guarantees a musical adventure with plenty of swing and gipsy passion. This project started out in 2012 and is succesfull to this day. The music of Oscar Peterson attracts a lot of people. The album "Hello Oscar" was recorded and released at the legendary MPS Studio, the same studio where Peterson recorded seven albums, including “Hello Herbie” and “Exclusively for my friends". "Hello Oscar - Hans Kwakkernaat Quartet. Order @ HGBS or Itunes. Joost appeared on several albums as a sideman. 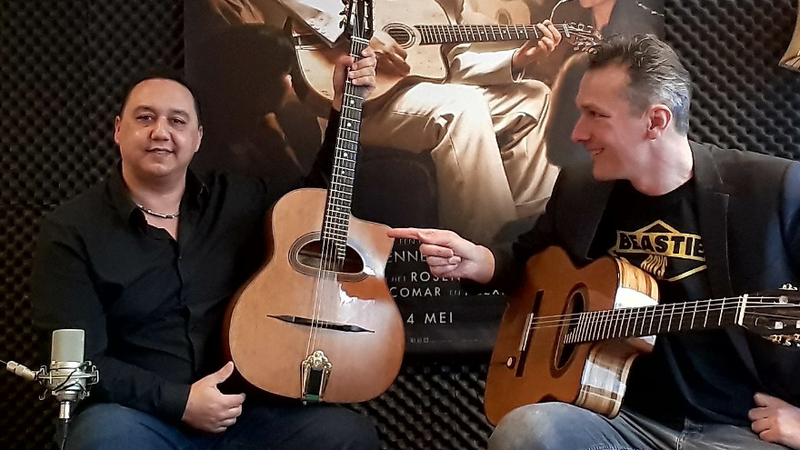 Very proud and happy that I will endorse acoustic JWC Guitars. These guitars are just beautifull, a very great and warm sound. Check it out! Video's coming soon! Big thanks to Tony Walker and JWC Guitars for their support! Check out the new video from our concert at the Schouwburg Deventer! Gipsy meets jazz guitar @ Breda Jazz Festival was great last weekend. 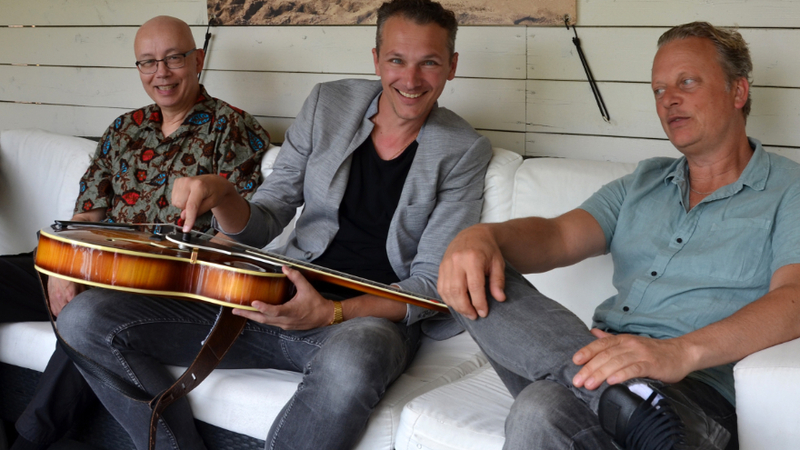 Also check out my new duo promo with the great Wolf Martini: Joost-Zoeteman-Wolf-Martini. Some concerts dates will be there soon! 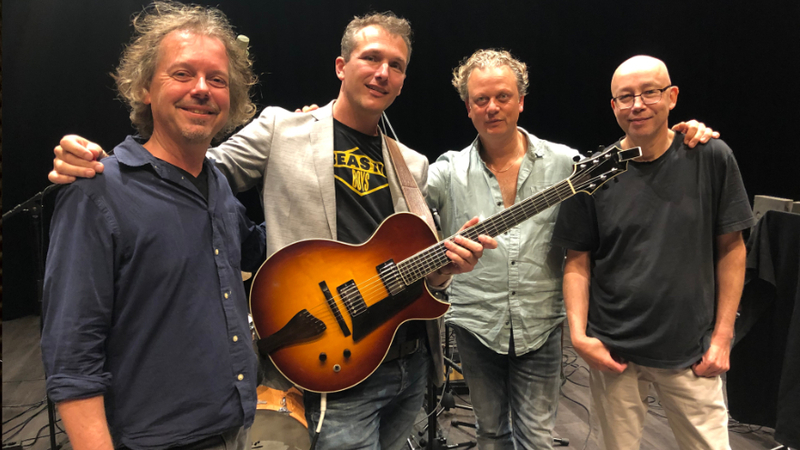 Together with Hans Kwakkernaat, Lucien Matheeuswen & Wim de Vries we did a concert for Jazz International Nijmegen. Check the video section where you can hear Delilah. Looking for Artist Agency Joost Zoeteman? Click here!